Thames Tideway’s first two tunnel boring machines have been lowered 53m underground at the project’s Kirtling Street central site ahead of a 12km excavation drive which is set to start later this summer. The £4.2bn Thames Tideway Tunnel scheme is being constructed to tackle the problem of sewage pollution in the River Thames with the promise of “reconnecting Londoners” by preventing millions of tonnes of untreated sewage flowing into the Thames each year. It is the largest infrastructure project ever undertaken by the UK water industry. The TBMs named Millicent and Ursula, will measure more than 100m long when fully assembled. The first shipment made the 500-mile journey at the start of February from the across the Channel after being built in Le Creusot, France. 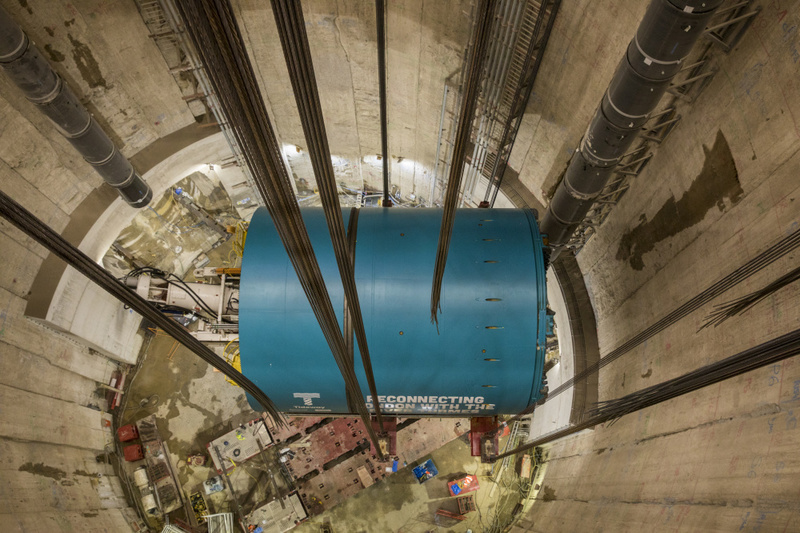 It’s part of Tideway’s commitment to transport over 90% of materials by river which will reduce the number of road vehicle journeys needed to build the tunnel. Millicent, named after Dame Millicent Fawcett, an English suffragist, will tunnel 5km from Kirtling Street to Carnwath Road in Fulham. While Ursula, named after Audrey ‘Ursula’ Smith, a British cryobiologist at King’s College Hospital, will tunnel 7km from Kirtling Street to Chambers Wharf in Bermondsey. The lowering of the two TBM cutterheads - which weigh in at over 850 tonnes each- was a lengthy and complex process and took approximately eight hours to lower each TBM. 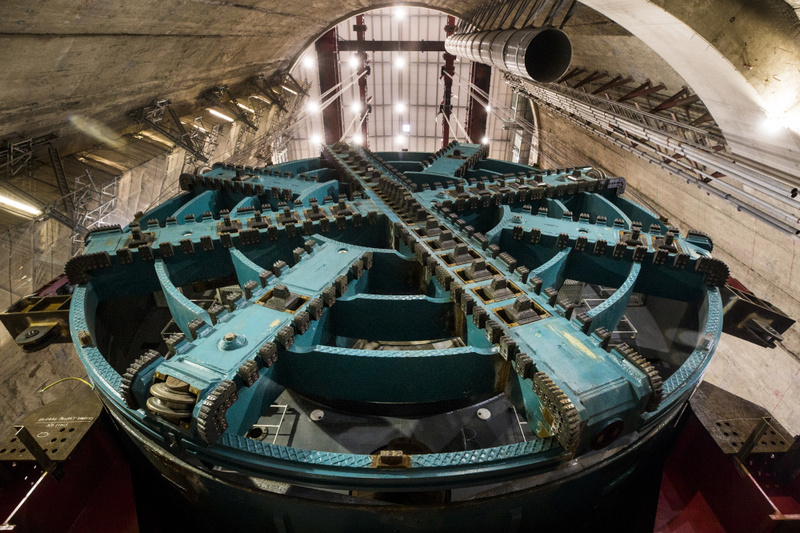 Once lowered the machines were placed into launch adits, otherwise known as starter tunnels, before work to complete the build of the TBMs, which will be over 100 metres long when fully built, begins in earnest. Across the project, Tideway will employ up to 4,000 employees across 24 sites of various sizes, stretching from Acton in the west to Abbey Wood in the east and is entering a major milestone moment. The Kirtling Street is in the central section of the Tideway project which is being delivered by the Ferrovial Agroman UK and Laing O’Rourke joint venture.